What Does My Boyfriend Think Of My Ileostomy Bag? There have been some questions in the past regarding how my boyfriend feels towards the fact I now have an ileostomy bag. And I hadn’t really thought of writing about it before, because to be honest, I wasn’t quite sure there was just one sum of thought for him. As my mentality has progressed – so has his. I mean, when you live together, your emotions bounce off one another 24/7, and if one of you is feeling down the likelihood is that your partner will feel somewhat succumbed to that. It’s been an emotional ride for the both of us and I’ve relied on him (as well as my blog) to make me feel better about myself. We’ve been together for a long time but one of my first thoughts after ileostomy surgery was “is he going to leave me?” I didn’t know if he’d be able to cope – back then I was a complete mess – and I didn’t know if he’d still find me attractive. I didn’t know if intimacy was going to become awkward, and actually, I didn’t know if he’d ever want to be intimate with me again. I was convinced he’d only stayed with me because he felt too scared to leave when I was in a position like this. I made the decision whilst in hospital that in order to keep my relationship the one normality in my life, I’d hide my ileostomy from him. I wouldn’t let him see it. Maybe that way he wouldn’t look at me differently. I made him leave the room when the nurses would come to change my bag, with my mum guarding the door until she’d finished. I made sure not to take my top off around him or expose my stomach. I was certain that in order to still be pretty to him i’d have to be fully clothed at all time. How was I going to carry out this level of pretense for the rest of my life? Well… it turns out I didn’t have to. 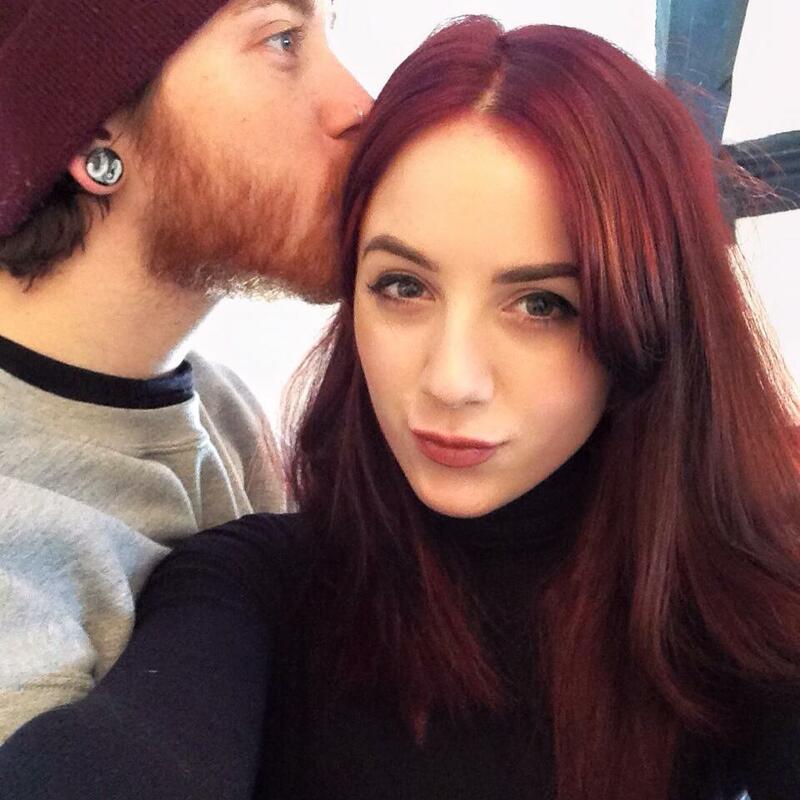 I had moved back home with my parents whilst my mum was my temporary carer, but I decided I wanted to come back to my flat to spend a night with my boyfriend. I felt a lot better physically and was able to move more, my mum had packaged up a numerous amount of pills and I was all set for the next day. At that point I wasn’t changing my own bag – I still didn’t want to look at the area itself. So, before she left after dropping me off, she changed the bag for me. I expected my boyfriend to just leave the room, like I’d usually ordered. But he just stopped, and asked my mum, “do you mind if I stay? That way I can learn what to do if she needs me”. I’ve never felt a deeper sense of relief. He wanted to learn. He wasn’t scared. He didn’t fear me. He just wanted to help me. It was at that point that I realized I was being stupid. I’d scared myself out of acknowledging the fact that maybe he didn’t feel the way I thought. My bag hadn’t changed me, it hadn’t changed the way he looked at me. He wanted to see. He wanted to learn. He wanted to understand. And that had to be a good sign, right? It definitely helped me. It showed me that if he could accept it so easily, so could I. If he wasn’t afraid, neither was I.
We’ve had our ups and downs but he makes sure to tell me I’m beautiful, and how much he loves me every day. To him, I’m the most beautiful girl in the world (which is crazy right?! Look at Jennifer Lawrence!!!). You may question how he feels about intimacy, I mean acceptance is one thing but being romantic with your partner is another. But, to my surprise, he actually asked me to take my top off! And one time, I’d done it without asking. Lovingly, he smiled and said, you haven’t got one on for once! It was a great feeling to not have to hide away. It’s great just to be made to feel good about myself. So… what does he think of my ileostomy bag? Nothing. And I think that’s exactly the way it should be. He talks about it as if it’s a person sometimes and even has a name for it! But that’s about it. When he’s looking at me… he’s looking at me. Not my bag. It’s not uncomfortable nor awkward no matter what the situation. And that’s exactly what I need. When someone you love has an ileostomy, you accept it in the same way that they do. The most important thing to both of us is that without the operation she would have died fifteen years ago.